Kenwood Communications KPG MASTER PROGRAMMING CD SOFTWARE WITH SERIAL NUMBERS! KENWOOD RADIO PROGRAMMING SOFTWARE DOWNLOAD. Item for sale is download containing Kenwood KPG-111DN Radio programming software. All software is compatible with Microsoft Windows 98 through Windows 10. Item for sale is download containing Kenwood KPG112DN radio programming software. All software is compatible with Microsoft Windows 98 through Windows 10. The following software is included There are no cables or anything else provided, just thedownload containing the software. Item for sale is download containing Kenwood KPG-95DGN radio programming software. All software is compatible with Microsoft Windows 98 through Windows 10. The following software is included There are no cables or anything else provided, just thedownload containing the software. KENWOOD KPG-141D PROGRAMMING SOFTWARE for NX-220, NX-320, +more! v 5.1 Updated! Kenwood Communications KPG Programming Tech CD Software With Serial Numbers! 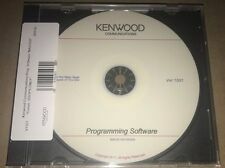 Kenwood Communications KPG Programming CD. Repeater TKR750/850 KENWOOD. WHAT IS ON THE CD TO THE BEST OF OUR KNOWLEDGE IS LISTED BELOW. TK-2212 / 2217 / 3212 / 3217 (Windows). TKR-751 TKR-851. TK-7180/8180/2180/3180. KENWOOD KPG-134D v2.32 Programming Software for TK-2312, TK-3312 Radio. CD Kenwood programming software KPG -101DE version 2.40 release 2010. This software is for Kenwood Radios: TK-2170:K., TK-3170:K., TK-3173:K.
KENWOOD RADIO PROGRAMMING SOFTWARE DOWNLOAD. Item for sale is download containing most Kenwood Nexedge/Project 25 radio programming software. All software is compatible with Microsoft Windows 98 through Windows 10. KENWOOD KPG-95DGN, KPG-95DG PROGRAMMING SOFTWARE. Newest Version!! KENWOOD KPG-95DGN Version 8.23, KPG-95DG Version 7.01 Engineer PROGRAMMING SOFTWARE includes FP Pro and Firmware upgrade to 3.0. Serial number included. KPG- 96D is for the MPT trunked version of the 2180. To program: TK-7180, TK-7182, TK-8180, TK-8182, TK-2180 and TK-3180. Google “FTDI FT232” and “FTDI USB”. What is the difference between FTDI and Prolific USB serial cable other than the FTDI are more expensive?. Many people prefer FTDI because they know they work, while others want to save money or are simply not aware of the differences. Kenwood KPG-74D programming software. To program the Kenwood TK-2140 and TK-3140. A: A USB cable or a USB to DB-9 serial adapter cable will not work with DOS software. You need Serial cable and a Serial port on your computer. The most common Serial port is the DB-9 Male. If you have a DB-25 connector on your computer it is most likely an LPT printer port, not a serial port and this is no help to you here. CD Kenwood radio programming software KPG-66D. To Program : TKR-750, TKR-850 radio version. Kenwood KPG-76D programming software. To program the Kenwood TK-373G & TK-863G.